The tiny, baby blue Datsun sedan pulled into the driveway at 5:00 every weeknight, like clock work, setting into motion a flurry of activity. 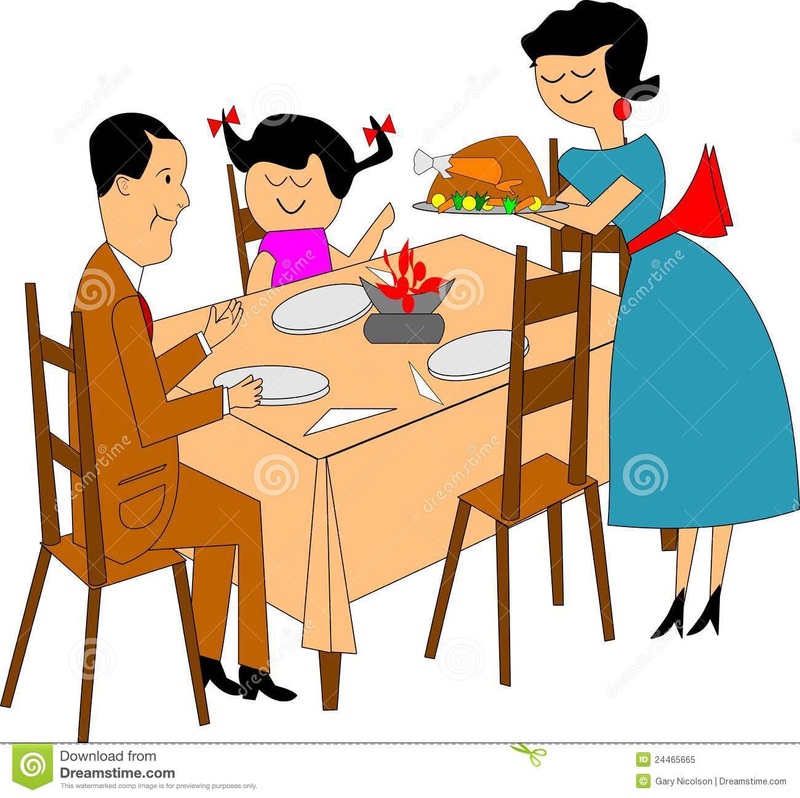 The table would be set, then came serving up the pork chops and fried potatoes or some other comfort food that Mom knew Daddy would appreciate after a long day in the oilfields 45 minutes away. Pretty amazing for a woman who had worked all day herself, dealing with hundreds of students, teachers and administrators in her role as school secretary at the local junior high school. Every evening on Santa Rosa Avenue started with a family dinner. “Family dinner” sounds big, but it was just the three of us. That was our family. Not because Mom and Daddy wanted just me and that was it. They wanted more kids and they endured three miscarriages trying to grow our family. God clearly planned for us to be a small but special party of three. Sometimes, dinner time would be delayed a bit, like when Barbie from down the street was at the house and we’d decide it was time for hide and seek. As tired as Daddy was, he’d always come looking for us as we hid, giggling, under the bed or in the shower, someplace big enough for two little girls to make themselves invisible for five minutes. Growing up as an only child in small town America had its benefits and its challenges. Yes, it’s true, I was probably a bit “spoiled,” although that’s such an ugly term when you consider that spoiled does, indeed, mean rotten. I like to think otherwise, but who knows! Love and attention were most definitely lavished upon me…I will happily call myself spoiled in that sense! I wouldn’t trade anything for the closeness between my parents and me as a child and as an adult. On the other hand, it’s not a lot of fun to play Operation or Perfection all by yourself. That made for a lot of “Can Barbie (or Shelley or Martha or Jodi) come play or have dinner (or spend the night or go to Disneyland with us)?” And of course, sleepovers at Granny’s house, down the street, made for many special Friday nights. I wouldn’t say it was “hard” being an only child, but I do think it was different. “It’s not too rough being an only child, really, until you are older and your parents are ill.” Words of wisdom from Mrs. Callendar, fellow only-child and my favorite junior high school teacher. That was my first time to experience the only-child kinship that crosses generations. Those words, spoken 35 years ago, rang true many times during Mom’s illness. Over the years, I’ve gone through times when I wished I had a sister or, oddly enough, even a brother! Friends remind me, though, in words and in actions, that simply having a sibling doesn’t mean you will be close. Plus, I’ve been so blessed in my life to have my cousin, Trina, as a surrogate sister and aunt to my children, and many friends who are also like “the sisters I got to choose.” And best of all, I’ve gotten to witness, foster and enjoy the brotherhood of Jake and Zack under my own roof. My solo childhood might be exactly why I revel in watching them do the tiniest of brotherly things, like texting between Bakersfield and San Luis Obispo, or sitting together on the couch playing FIFA, or giving each other the truly perfect Christmas gift because they know each other that well. So, life on Windsor Park Drive has been a little different. More like “Dinner for 4 at whatever time we can make it work.” But those early teachings of what family means, regardless of size, laid the groundwork for me and have served as my mom-compass for the past 21 years. Thanks Mom and Dad! While I was not an only child, I can relate to the family dinner time. It was sacred in my house growing up. I have taken that time, that meal, and made it a consistency in my household. And like you, our dinner is for 4 and around whatever time too – but we always eat dinner together. My grandparents house was like that when I was there. I loved it because at home I was one of six kids so the structure and attention was like heaven to me.